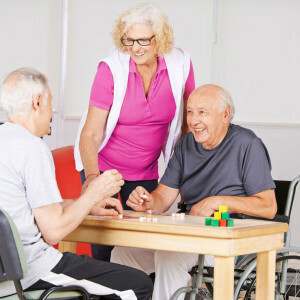 Promenade was founded on the premise that seniors can continue to enjoy their lives even as it becomes difficult to live in their own homes, yet are not in need of the skilled care of a nursing home. Propelled by a deep-rooted tradition of respect for the elderly, Promenade is committed to providing a safe and secure environment that fosters dignity for each and every resident. 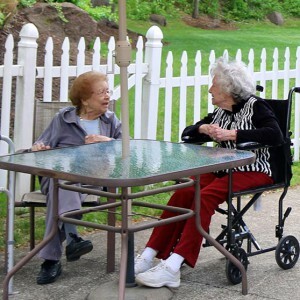 Caring for seniors is a way of life for the Promenade. You want your loved one to feel safe and comfortable-while continuing to grow and smile. At the Promenade communities, you can rest assured. Dedicated to creating an environment of vibrancy and independence for your family member, our staff is supportive and deeply involved. Your loved one receives the attention and care he or she needs, along with the freedom and independence to flourish. With social experiences, exciting excursions, and an engaged and active lifestyle, the Promenade is a dynamic, enriching, and supportive home. Promenade is dedicated to the wellbeing of its residents, providing an ideal environment for your loved one to age gracefully. With multiple communities of different sizes, specialties, and prices, Promenade offers comprehensive and enthusiastic support for your loved one. Between each of our communities you can find the assisted living, independent senior living, social model senior day program, home care, or memory care programs that best fit your loved one’s needs. Let us help your family member lead an enriching life at Promenade.